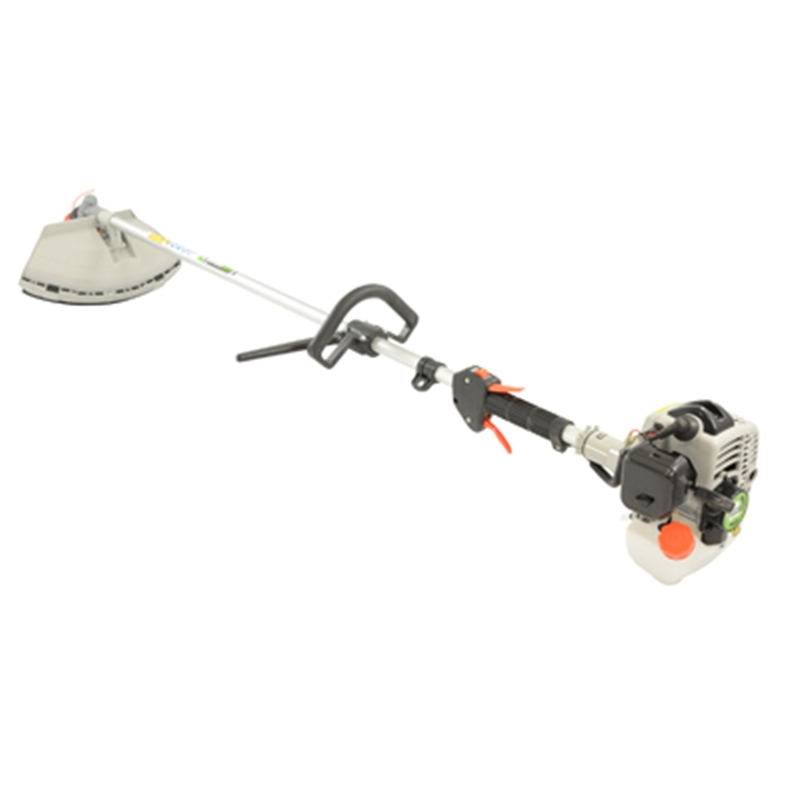 The Gardencare 430UH is top of the Gardencare range and an excellent 2 stroke line or metal blade Bruschcutter. It is a lightweight straight shaft machine with a powerful full crank 2 stroke engine (43cc). It is fitted with and anti vibration system, ensuring less fatigue when used for extended periods. Lightweight, powerful and exceptionally good value for money, the Garden care 430UH is designed to make all strimming tasks easy. The straight shaft and bike handle means you man manoeuvre the head easily and effectively. Adjustable handles and an included double harness make sure you can set up the GC430UH to suit you , and combined with an effective anti-vibration system and the ergonomic controls, means you can use the GC430UH for long tasks or jobs. By using a powerful 2 stroke 43 cc engine, garden care provides a high power output without the weight and costly maintenance procedures associated with 4 strokes. The engine has a large capacity fuel tank removing the need for constant refuelling and the fuel primer bulb and manual choke help guarantee it's easy starting. The bump feed nylon head is a quick and reliable way to release more trimming line if it breaks during use. The head is simply tapped on the ground and enough replacement line will be discharged. It is also supplied with a 3 tooth metal blade which can be used against the toughest of undergrowth and weeds/grasses.